Welcome back for the finale of our Cooking with Astrology “Virgo” meal. 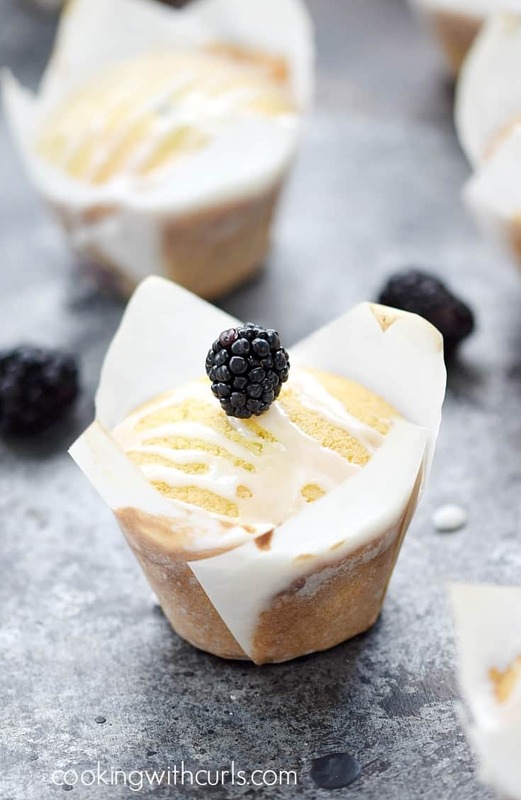 These Blackberry Muffins with Lemon Glaze are absolutely delicious!!! I love the texture and flavor. 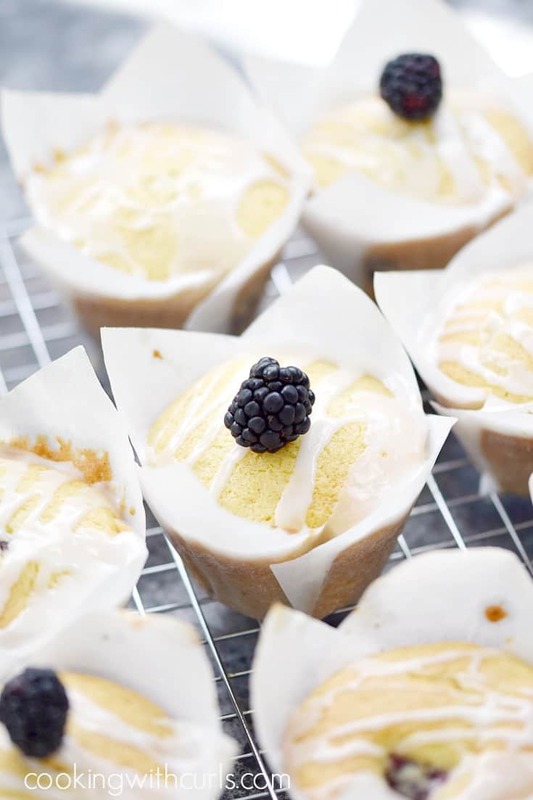 These are truly bakery style muffins. 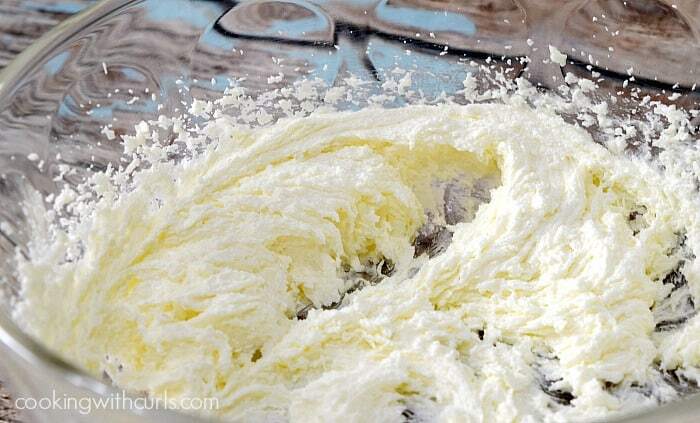 I think it has something to do with beating the butter and sugar together for 4 minutes! Let’s be honest, how many of you actually do that when you make muffins? I haven’t in the past, but I sure will now. 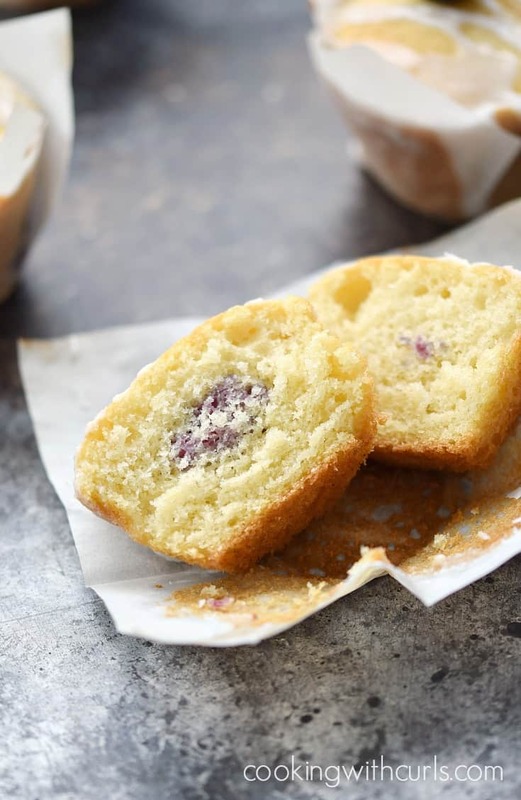 These muffins remind me of a sponge cake. 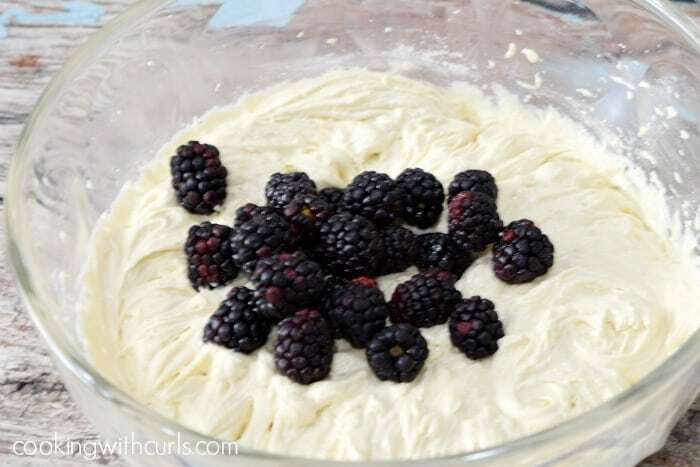 They hold together really well and have just the right amount of blackberries, and the glaze…perfect! 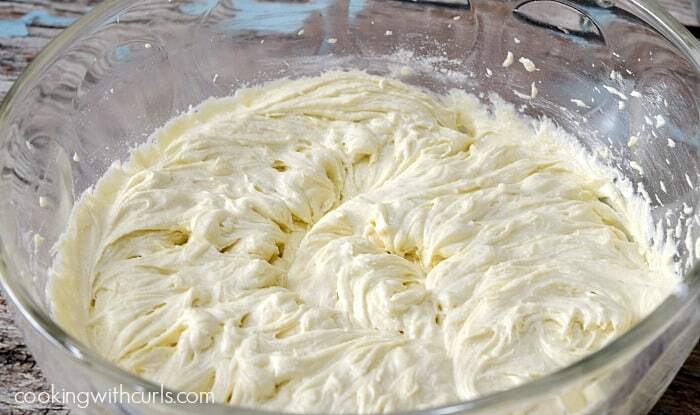 In a large bowl whisk together flour, baking soda, baking powder, and salt. Set aside. 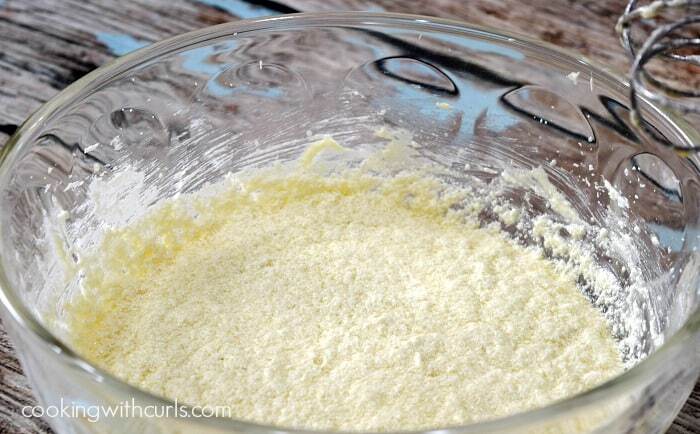 In another large bowl, beat together granulated sugar and butter until light and fluffy with a hand mixer, about 4 minutes….. Beat in the eggs one at a time, beating well to combine. Stir in the milk and vanilla….. 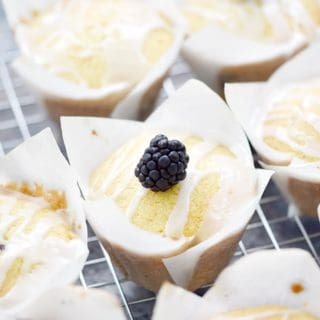 Slowly add the flour mixture, blend well…..
Gently fold in the blackberries…..
Scoop or spoon the batter into muffin cups, to about 2/3rds full…..
Bake for 20 minutes, or until a toothpick comes out clean when inserted into the center…..
Lay a sheet of wax paper under a wire cooling rack. 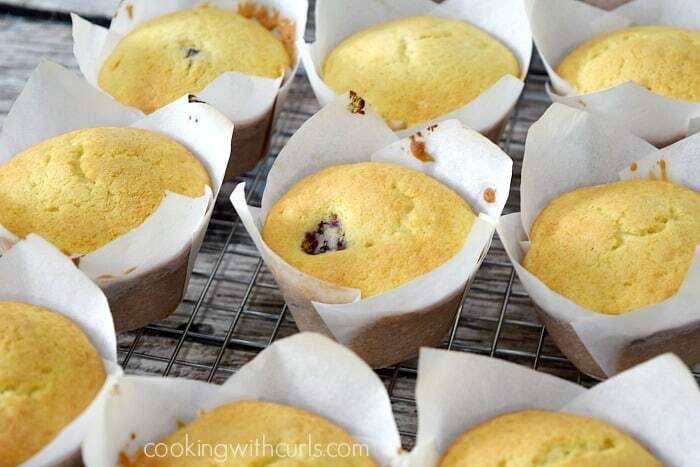 Place muffins on rack and allow to cool. Whisk together powdered sugar and lemon juice together in a small bowl to make the glaze. 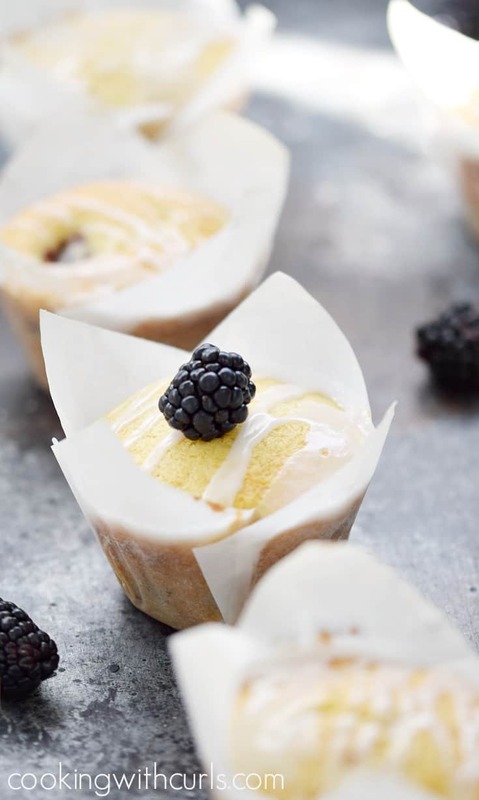 Drizzle over muffins and serve…..
Bakery style muffins studded with blackberries and topped with a lemon glaze, make these Blackberry Muffins with Lemon Glaze a perfect breakfast treat. Preheat oven to 350 degrees. 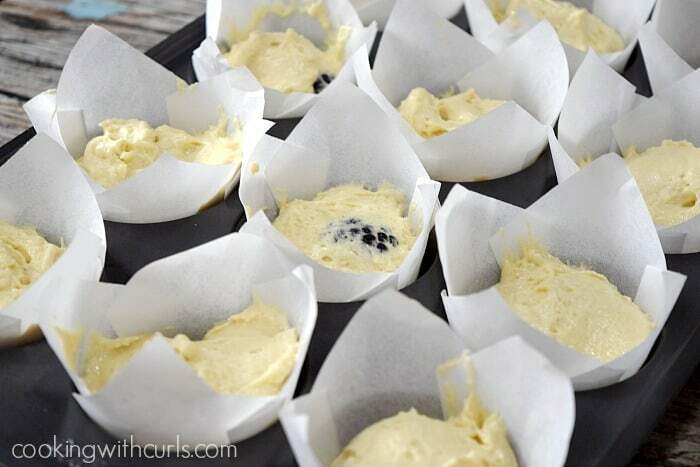 Spray muffin tin with cooking spray or line with paper liners. In another large bowl, beat together granulated sugar and butter until light and fluffy with a hand mixer, about 4 minutes. Beat in the eggs one at a time, beating well to combine. Slowly add the flour mixture, blend well. Scoop or spoon the batter into muffin cups, to about two - thirds full. Whisk together powdered sugar and lemon juice together in a small bowl to make the glaze. Drizzle over muffins and serve. Made these tonight and they were amazing!! !